(CNS): The final result in the General Election 2009 which came in from George Town at 4:00am this morning secured the United Democratic Party’s majority and ensured they will be forming the next government. Pushing Alden McLaughlin into third place Adam polled 46% of the vote. Ellio Solomon was also returned as fourth elected member with 40% of the vote. After a close race for the top spot the Leader of the People’s Progressive Movement and now the Leader of the Opposition Kurt Tibbetts held on with 47% of the vote. The results followed a clean seep for the UDP in West Bay where all four candidates increase their percentage of the vote and a more controversial result in Bodden Town where Mark Scotland was returned as first elected squeezing Anthony Eden into second and Dwayne Seymour was elected in third place with only 36% of the vote a mere 1% ahead of Osbourne Bodden who has already stated he will make a challenge as a result of Scotland and Seymour’s failure to meet the constitutional requirement for qualification to be elected to the Legislative Assembly. With no surprises in the Sister Islands and East End, North Side returned a new but very familiar face and the country’s only independent candidate in Ezzard Miller. Although, the Supervisor of Elections Kearney Gomez had a midnight target for the results the counts in West Bay and George Town were not returned until the early hours of the morning. There was only the very slightest increase in voter turnout for the 2009 election compared with 2005. Yesterday, 80.56% of the electorate took part in the democratic process compared tot he 2005 figure 80.51% but with an increase in the electorate some 12,209 valid votes were cast. West Bay: McKeeva Bush (2,067); Rolston Anglin (1,966), Cline Glidden (1,740), and Capt Eugene Ebanks (1,570). George Town: Kurt Tibbetts (2,181); Mike Adams (2,110); Alden McLaughlin (2,081) Elio Solomon (1,845). Bodden Town: Mark Scotland (1,453), Anthony Eden (1,394) and Dwayne Seymour (1,030). North Side: Ezzard Miller (253). East End: Arden McLean (304). Cayman Brac and Little Cayman: Moses Kirkconnell (473); and Julianna O’Connor-Conolly (447). Gomez offered his thanks to all those involved in the process, including the electors, candidates, agents as well as the elections workers, support staff and the media. The final figures for all candidates, as well as supporting documentation on the process, are posted on the elections website www.electionsoffice.ky. The office has now turned its attention to the Constitutional Referendum count which is expected by mid-afternoon. Given the result of the General Election, and the UDP’s very luke warm support for the document throughout the campaign, and its association with the former government pundits are now predicting that the referendum will not achieve the 5339 votes it needs to secure its passage. Check back to CNS later today for the results. (CNS): There were few surprises went the West Bay result finally came in, returning all four incumbent United Democratic members and ensuring that, with the imminent result in George Town, McKeeva Bush will form the next government despite the problems with two of his UDP candidates in Bodden Town. Bush polled over 68% of the vote and Rolstin Anglin over 65%, and Cline Glidden and Cpt Eugene Ebanks taking over 57% and 52% respectively. Rather than being challenged by the independents in George Town, the UDP actually increased their collective share of the vote and strengthened their already solid grip on the district. Moreover, the result came in as the last two ballot boxes and mobile votes remained to be counted, with two UDP candidate poised to take seats in the district from Lucille Seymour and Alfonso Wright. Mike Adam was flying to victory at around 2:00 am, neck and neck with Kurt Tibbetts for first elected member, while Alden McLaughlin was looking secure in his seat but as third elected trailed by radio shock-jock Ellio Solomon taking the fourth seat. With five confirmed seats, two almost in and two in the hands of the lawyers and a first reserve in North Side in the shape of Ezzard Miller, the UDP will be back in office. In a complete reversal of fortunes for the PPM, they now have five seats and will be taking those on the opposition benches. (CNS): In probably the most surprising result of the night, both UDP candidates, Mark Scotland and Dwayne Seymour, have been elected to the district of Bodden Town but will face an immediate challenge owing to their failure to meet the constitutional requirement to declare their business contracts with government before the deadline. Even before the final results were announced, Osbourne Bodden, the People’s Progressive Movement candidate who came in fourth, a few votes behind Seymour, confirmed that both candidates’ election would be challenged. Anthony Eden’s huge percentage was cut dramatically from almost 75% of the vote at the last election to just over 49%, making him the second elected member. Dwayne Seymour with 36% of the vote literally squeezed in to take the third seat in the district from Bodden, who got just over 35%. Theresa Lewis-Pitcairn gained the largest percentage of the vote by any independent candidate with over 31%, just behind Charles Clifford who came in 5th with 33% of the vote. With only a few votes left to count in West Bay and George Town and the UDP poised to take at least 6 of those 8 seats, Cayman will be waking up to a UDP government tomorrow as the electorate not only voted against the incumbent government but also rejected the independents and voted for party allegiances. The UDP are likely to have 9 candidates and will also be able to depend on the support of Ezzard Miller in North Side if they lose their Bodden Town candidates as a result of the anticipated challenge. (CNS): With the likely formation of a UDP government later today, returning UDP representative for Cayman Brac and Little Cayman, Juliana O’Connor-Connolly, can look forward to a Cabinet seat, which was promised to her by UDP leader McKeeva Bush on the campaign trail. In a neck and neck fight to the finish, O’Connor-Connolly was nudged out of the first elected member position by just 6 votes, with PPM member Moses Kirkconnell gaining 473 (59%) votes to 467 (56%). Former MLA Lyndon Martin, who lost in 2005 and yesterday failed to regain a seat, received 300 votes and Maxine McCoy-Moore, on her fourth bid for election, polled 80 votes. A total of 817 people on the Sister Islands took to the polls Wednesday out of 980 registered voters. Though both the UDP and PPM campaigns had urged supporters to vote only once, from the voting statistics it appears that most used both their votes in the voting booth, with only 157 people voting just once. (CNS): Voters in East End at least opted not to “Stop the Progress” after all and they have sent Arden McLean back to the Legislative Assembly. The People’s Progressive Movement candidate received more than 59% of the vote compared with his namesake John McLean, who polled just over 40%. The second full result of the evening confirms the trend that has now begun to emerge across the islands that Cayman looks to be returning party candidates and rejecting the independents. 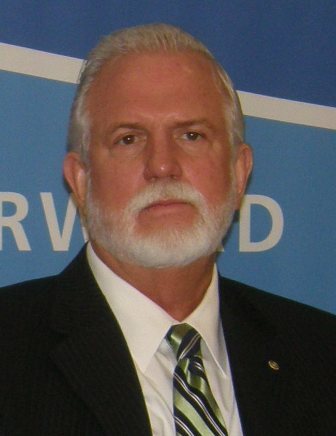 North Side may well be the only district to return an independent candidate. So far the UDP are holding on to the first four places in the counts that have been completed in West Bay. In George Town, while incumbent PPM members Kurt Tibbetts and Alden McLaughlin are holding 1st and 2nd place, 3rd and 4th are currently taken by Mike Adam and Ellio Solomon. Meanwhile in Bodden Town Anthony Eden is out in front but being trailed by Mark Scotland which will prove a controversial result if things stay that way, with Osbourne Bodden sitting in third. (CNS): The first result of the Cayman Islands General Election came from North Side where the voters elected independent candidate and former Ex Co Member Ezzard Miller with more than 50% of the vote. Although an independent candidate he has said that he will help the United Democratic Party UDP for a government. The former Health Minister who is no stranger to controversy has said that he does not expect a ministerial post as he intends to work for the people of his district. Miller beat out Joey Ebanks the PPM candidate who replaced Edna Moyle who announced she was retiring from politics earlier this year. Ebanks polled just over 37% of the votes in what was during Moyle’s tenure a safe seat. However, Ebanks’ campaign got off to a rocky start after it was revealed he had taken a substantial salary advance in his former position as Director of the Turtle. Oswell Rankine came in third with around 12%. Continuing with its success of returning results within a few hours of the polls closing, the Elections Office said it remains on target to have all results in by midnight. (CNS): The polling stations closed at 6:00 pm this evening after 12,362 Caymanians cast their vote in the country’s General Election on 20 May representing 80.56% of the entire electorate. Meanwhile, not all of those voters chose to take part in the referendum with less than 70% of people (10,677) casting their vote in that ballot. Supervisor of Elections Kearney Gomez confirmed that, aside from the incidents at two polling station of undue influence which are being investigated (See CNS story), the day was ”hectic” but the dual polling went very well. With 78 stations now involved in counting the ballots, Gomez said that he expected the first results should be in from East End and North Side by around 8:30 pm, followed by Cayman Brac and Little Cayman around 9:00pm, then Bodden Town at approximately 10:00pm, and ending at around 12.00 am with the results from West Bay and George Town. “I have challenged our counters and returning officers to have the full General Election Result by midnight,” he added. Gomez then explained that the referendum ballot boxes are being moved under security to the Election Command Centre from the six district, were they will be watched overnight before that count starts at around 10:00am tomorrow morning at the Command Centre. With 10,677 voters in the referendum, in order for the new constitution to pass it will need to receive at least 5,339 ‘yes’ votes. On the preliminary turn out statistics from the Elections Office, the highest voter turn out was in East End where 86.26% of the electorate cast their vote in the General Election and 71.02% of people took part in the referendum. The lowest voter turn out for the General Election was in George Town, where only 77% of the 5,968 voters came out but almost 70% did take part in the referendum. The lost percentage of the vote in the referendum was on the Sister Islands where only 64.34% voted in the referendum but almost 84% took part in the General Election. (CNS): Update 5:30 pm: Following this morning’s reports of the United Democratic Party (UDP) workers handing out cards, to voters, printed with the names of the four George Town candidates and their ballot numbers at George Town Primary polling station election officials have confirmed further reports of similar activity happening in Prospect. Police liaison officer Deborah Dennis said the RCIPS were investigating the incidents. “Police are aware of the allegations and will be carrying out preliminary enquiries while awaiting legal advice and guidance from the elections office,” she added. The first reprots occured around 11:00 am this morning when election officials and the police were called to the polling station at George Town Primary (20 May) following the reports that representatives from the UDPwere handing out cards or slips (as above) to voters arriving there with the names and numbers of their candidates, in contravention of the Election Law. Orret Connor said he could not directly comment on the allegations but the Elections Office was establishing another base by the political representative’s tents to keep an eye on the situation. “I can’t commenton this at the moment as we are still monitoring the situation and if it is proved to be true we have to check out the implications with regards to the Election Law,” Connor said, adding that it could be considered undue influence. A number of voters, passers by and field agents representing other candidates in the area all said they had seen the cards, which were the size of a normal business card with the four UDP candidates’ names and numbers listed there. Election officials also reported that some voters had gone inside the polling stations holding the cards and when asked where the cards came from they indicated that they had just been given the cards by the UDP representatives outside. 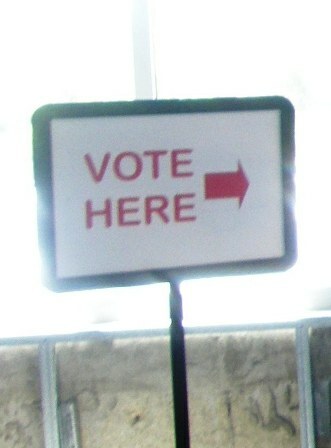 Although candidates from both parties and the independents are, according to officials, allowed to have their representatives near the polling stations, those agents should not be influencing voters and they should not be giving out any campaign literature of any kind, let alone what appeared to be instructions on how to vote. Aside from the potential of undue influence, Connor said he was concerned that voters may be confused by the political representatives outside the stations who legally hold registered voter lists but are not election officials. He said voters should check their names with officials from the election office and not with political agents. One observer noted that she had seen the cards been given out all morning and suspected dozens had already been given to the voters who had been to cast their vote in the General Election at that station. By 11:00am, around the time when officials were called out to that station, almost 40% of voters registered to cast their ballot at that station had already voted. Allegations were also made from a number of observers that it was the George Town candidates themselves who had given the cards to their representatives at the tent to hand out to voters as they arrived. However, following the arrival of election officials and the police, Jonathan Piercy one of the UDP’s four George Town candidates arrived to discuss the matter with Orret Connor. Piercy said that the accusations were merely hearsay and there was no proof that any had been given out by their people on Election Day as the cards had been in circulation for about a week. However, Piercy, one of the UDP’s four George Town candidate, told CNS that if the cards were being given out on Election Day, he accepted that it would be illegal. According to Section 92 (3) of the Elections Law, on polling day candidates are not allowed to publish any printed material which invites or induces the public to vote for a particular candidate or group of candidates and anyone contravening this section is liable to a fine of up to $500 or six months in prison. The question of undue influence, however, could also give rise to a more serious question of whether the vote and ultimately the result would be unfairly influenced. (CNS): Updated 4:00 pm: The afternoon bi-hourly poll statistics have confirmed the trend that emerged this morning that not all of those who are going to the polls to vote in the General Election today are voting in the Constitutional Referendum. The Election Office figures reveal that at 3pm almost 64% of Cayman’s registered electorate had come out to vote but only 52.5% of the total electorate had cast a ballot in the referendum. Out of Cayman’s 15,316 voters by mid afternoon 9728 had voted in the general election and 8072 the referendum. More than 76% of registered voters had already gone to the polls by 3’ O’Clock in North Side and close to three quarters in East End but in both districts the vote for the turn out for the referendum was considerably lower. In North Side just over 65% had also made a democratic choice on the constitution and 56.9% in East End. Voters were out bright and early in the districts this morning and by 9:00am almost a quarter of the electorate had already been out to cast their votes in the General Elections. In North Side over 36% of eligible voters had been to the polls and placed their Xs in the General Election within the first two hours of polling and across all three islands almost 25% of people had voted. With Cayman’s history of a high turn out the Elections Office said it is hoping that tradition will continue and also carry through to the historic Constitutional Referendum but early indications reveal that voters are not necessarily taking part in both ballots with the first bi-hourly poll statistics for the referendum being on average around 5% less than the showing for the General Election. The referendum and the elections are taking place side by side but in separate stations where all voters are required to pass through both stations but are not obligated to vote in both. Although the referendum on the constitution will pass with over 50% of voters who turn out saying yes and not as a percentage of the electorate, a low vote in the constitution could cloud the result. This year the total electorate includes 15,361 people spread through the districts with the largest number concentrated in George Town where 5,968 are registered to vote. In West Bay there are 3762 voters and 3481 in Bodden Town. Over on the Sister Islands some 980 people are eligible to vote and in the two smaller districts ofEast End and North Side there are 599 and 571 respectively. (CNS): As the polling stations opened across the Cayman Islands this morning voters were already waiting to cast their votes in both the General Election and the country’s historic constitutional referendum. Election Day is a public holiday and voters were keen to get to the polls early so they could enjoy the day. According to the Elections Office the secure and empty ballot boxes and papers were dispatched to all the polling stations this morning without a hitch and it has confirmed that all 78 stations across the six districts are open. This morning, from the command centre Colford Scott reminded voters to bring some form of ID to the polling stations with a name matching that which appears on the register of voters. “Electors should have a valid photo ID that states there name as it is on the voters list,” he said. “Any name changes need to be supported by some type of evidence.” He also warned voters not to go to polling stations wearing campaign t-shirts and that only small rosettes and buttons would be allowed. Scott said that by 9:00 am the elections command centre should have the first update of how many people have already cast their vote in both the election and the referendum. Scott noted that traditionally Cayman voters do tend to visit the stations early in the day. Emphaissing that any disabled voters would be assisted and given priority at the station Scott said he hoped all registered voters would come out to the stations. “I want to encourage all registered voters to come and cast their vote in both elections and the referendum,” he said noting that Cayman had a solid tradition of higher voter turn out and hoped that would continue. Keep logging on to CNS throughout the day for regular updates and coverage as Election and Referendum 2009 unfold. CNS will also be posting the election results tonight/tomorrow morning in real time.